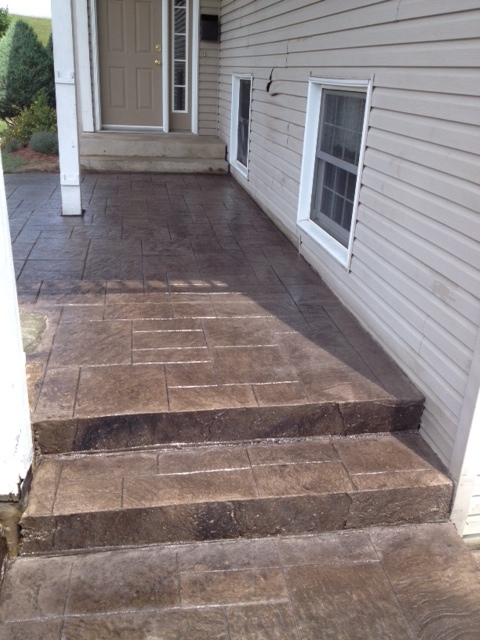 Stairs, Patios, Driveways, Pool Decks, Sidewalks, and more! 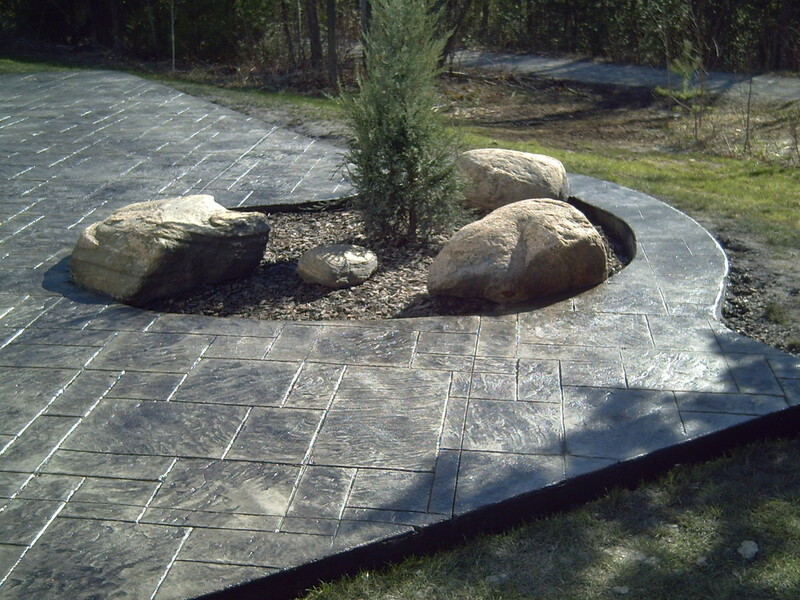 We have a variety of patterns to choose from including: Random Stone, Ashlar Slate, Arizona Flagstone, Cedar Plank and our most popular Old Granite Seamless which provides the concrete with a seamless texture of natural stone. This pattern especially looks great when combined with natural limestone Armour stone borders and/or retaining walls. We also have several borders to choose from and inserts, such as our Compass Rose, which adds an amazing accent when we stain it in several different colours to make it stand out (and yes we always use a compass to make sure our Compass Rose is correct). 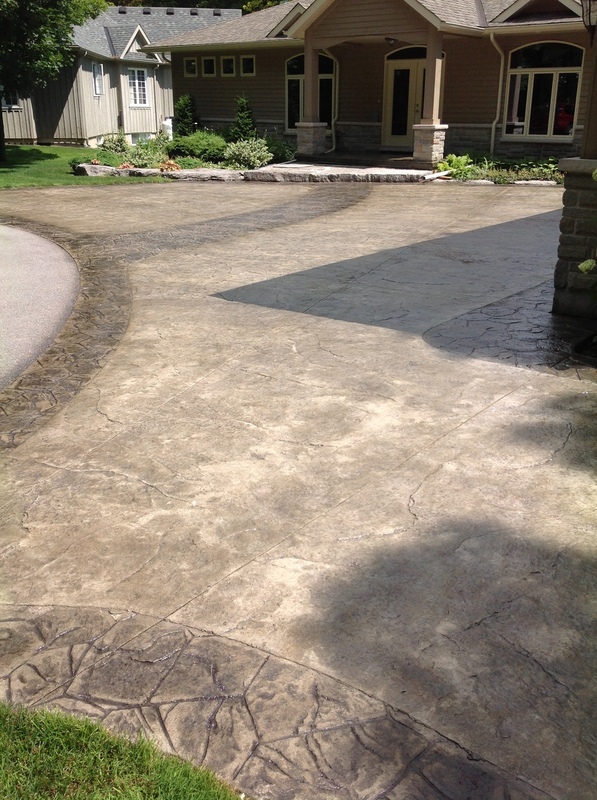 Fenelon Stampcrete also does concrete staining. This process can be done with 2 different products. The first one is a non-reactive acid that is basically a coloured sealer but provides some vibrant colouring options. 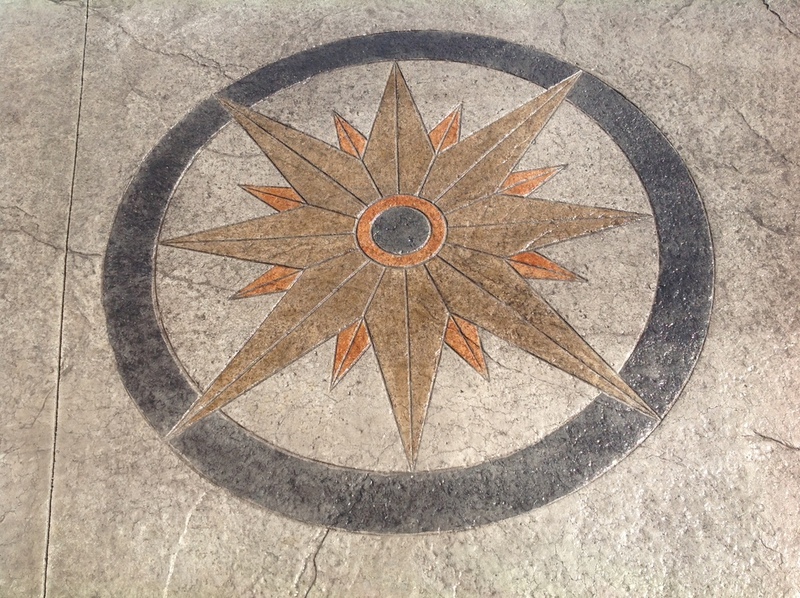 This product we use on our stamped patios to accent either our inserts, such as the compass rose, or to accent borders along the edges of patios and walkways. The other product is an acid based product and actually etches into the top layer of cement. The colour variety is a bit more limited but the variegated finish that it provides on polished floors is amazing. This product works fantastic on machine finished floors either in a basement or a garage, and when combined with an application of acrylic sealer makes a very durable and unique finished floor.